When it comes to driving hotel profitability, first thing first – do you have a plan? Often times we are dealing with owners who are always in reactionary mode. They might understand their town/city; however, they are not completely in tune with the town. To effectively market your property, as we mentioned in Three Keys to Driving Hotel Revenue, you have to differentiate yourself from everyone else in the crowded marketplace. Look at the year as a whole. Part of your responsibility is to promote travel to your location! Marketing to locals is vital to capture all the traveling relatives. Promote shopping close to your property! Do some cross-marketing with your business neighbors. Fine dining – an outstanding restaurant differentiates your property from the rest! Ensure your listings are up to date on all available channels – there’s more than five. Trust us! Group business is a must. Your sales team must be assertive with their relationship building regardless of the industry. please do not hesitate to call us at 540-464-4653. To see a portfolio of our hospitality clients, click here. To learn more about Taylor Hospitality, click here.  To learn more about Up to Par Management and our services, click here.